Charles Johnstone was given one of the last batches of the toxic chemicals and paper that make cibachrome images. He used it to seek out empty places across New York’s five boroughs. 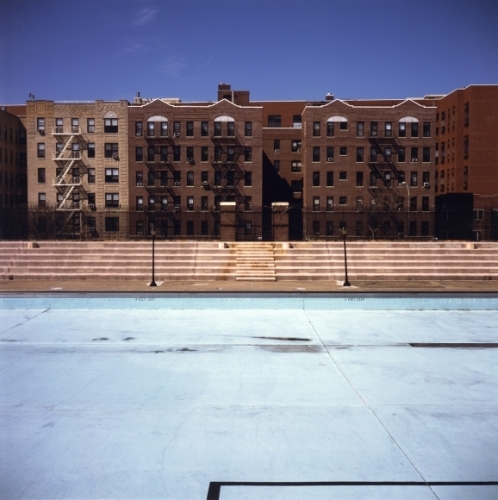 His portfolios include Brooklyn Corrugated Iron Fences, Thirty Four Basketball Courts, A Few Empty Pools, Some New York Handball Courts, and New York Storefront Churches, each printed in the luminous cibachrome process.